VBS Direct Ltd - Information for pet owners - Innovative solutions for the veterinary professional. K-LASER therapy does not treat conditions, it stimulates the body’s inherent healing mechanisms via a process called photobiomodulation. Through a combination of different wavelengths, power and frequency of laser light K-LASER is able to achieve improved healing times, pain reduction, increased circulation and decreased swelling. 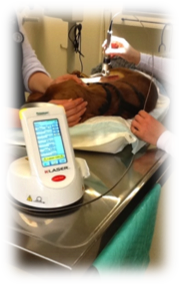 Laser Therapy has been utilised in human and animal medicine for many decades, however recent technical advances in laser miniaturisation has allowed laser therapy to be used for a wider range of patients. 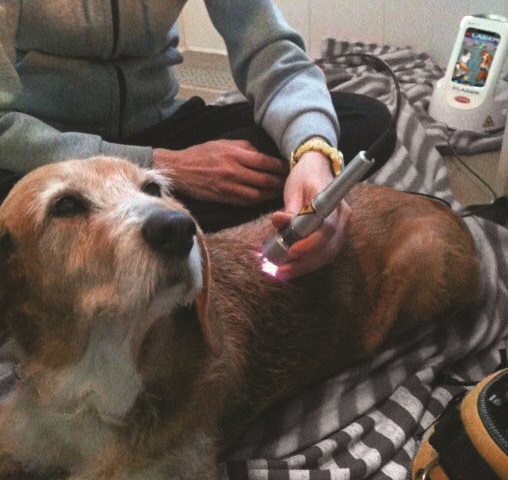 Here is a list of the most common questions asked by pet owners about class IV laser therapy. 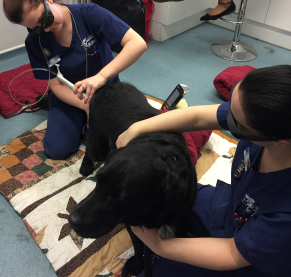 What does class IV laser therapy mean? Class IV is the rating of the laser device used to deliever the treatment. 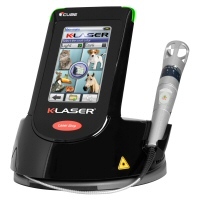 All K-LASER CUBE devices are class IV, this is the most powerful class of laser for therapeutic use. More power means higher doses of light energy can be delivered more quickly. Most patients sense a mild, soothing warmth over the treated area. Areas of pain or inflammation may be sensitive briefly after treatment before improvement is experienced. It depends upon the size of the area being treated and the specific condition but typically sessions are 8 minutes in length or less. If your pet has multiple conditions your session may need to be longer. This depends on the nature of the condition being treated. For some acute conditions 1-2 treatments may be sufficient. Often chronic conditions may require an initial set of 5 to 8 treatments with booster sessions as required to control pain. Often improvement can be seen after the first visit, however Class IV Laser Therapy treatment is cumulative in nature so for most conditions patients will require several repeat treatments for greatest benefit. 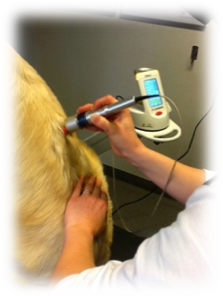 With your veterinarians approval laser therapy can be used in combination with other forms of therapy, surgery, prescription drugs or dietary supplements. Has Laser Therapy been scientifically demonstated to be effective? Hundreds of published clinical papers have demonstrated the effectiveness of Laser Therapy. Laser Therapy is one of the fastest growing therapeutic treatments for both humans and animals for a wide range of conditions.